Riding a road bike regularly will keep you in shape. Many people now join the green movement by using a road bike for commuting. Riding a road bike is fun as well. However, if you don’t know how to ride a road bike correctly, you will experience pain in your neck, back and even on the leg area. How to Ride a Road Bike Correctly? You should learn the techniques to ride a road bike. If you know how to pedal, climb and brake properly, you will be able to have a smooth riding experience. You will find various types of bikes on the market. Some bikes are meant for use in particular road conditions. Bike beach cruisers, for example, will let you ride comfortably on any road, even on the beach. Here are some tips for riding a road bike correctly. You must be in the correct body position while riding. Otherwise, you might experience pain in many parts of your body and feel uncomfortable. Here are some tips for you. You should first relax your shoulders. Lower your shoulders; it will be easy for you to turn your head and look for traffic while riding. Bend your elbows; it will act as a suspension. In case you hit something, your arms will absorb the impact. Keeping elbow in this position will also reduce the strain on your shoulders. Have a neutral spine. Keep your back relaxed, and it should be on a straight line between the shoulders and hips. A slouched riding position may exert pressure on the hands or shoulders. You should position the bike handlebars below the top of the saddle. If the handlebars are set too low, you will feel pain on the back and shoulders. You should place the ball of your foot over the pedal spindle. This position will lower the chance of injury. You shouldn’t position cleats too far forward; it may cause Achilles strain. The saddle height is the distance from the top of the seat to the pedal at the bottom position. Your leg should not be fully stretched out when the pedal is in the bottom position. You should form an angle of 25 degrees. As a rule of thumb, you should set the saddle height at 109% of the distance between your crotch and ground when you are standing on bare feet. Reach is the distance between the shoulders and top brake levers. You should sit an angle of 45 degrees to the cycle’s top tube. You can adjust the reach by changing the handlebar stem’s length. If you pull up on the pedal, it will not increase the maximal power output. It also exerts a lot of pressure on the hamstrings. So, the best pedaling technique will be to apply a downward stroke. You should start your stroke at 12 o’clock and finish at 6 o’clock. New cyclists often struggle with changing gears. You should always keep in mind that the pedaling rate should be steady at 80rpm to 90rpm, and so you need to change the gear accordingly. You should anticipate what’s ahead of you and then change your gear. For example, if you notice a climb approaching, you should change the gear so that you can ride comfortably on the slope. When you descend, keep your fingers on the brakes. You should look beyond the corner and look for obstacles that are coming up at speed. You should try to keep your body in line with your bike. You should keep your inside leg up and the outside leg straight. You should apply brake before entering a corner. This way the speed will be reduced, and you won’t have to break hard when you reach the corner. There are brakes on the front and back of the bike. The front brake helps you to stop. When you are riding in wet conditions, applying the front brake can be risky as you may skid. In such a case, you should use your back brake. You should learn how the pedal, gear, and brake smoothly. You should always be on the right position, set up your bike in the correct height and practice riding uphill, downhill and around the corners. The more you practice, the better you will get riding a road bike. 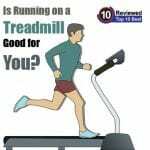 Is Running on a Treadmill Good for You? 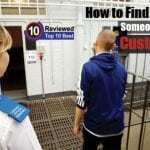 How to Find Out if Someone Is in Custody? Best Women’s Hiking Gear You Need To Know!